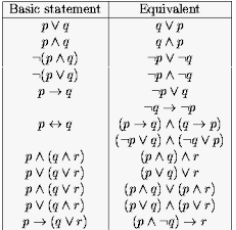 Equivalently, using the definition of deductive validity that I prefer: A deductively valid argument is one where, the truth of all its premises together with the falsity of its conclusion, leads to a logical contradiction (A & A). Deductively validity is easy as pie to obtain. Any argument to a conclusion C can readily be made deductively valid. One way is just to add C as a premise (often disguised so it’s not so obvious the conclusion is merely snuck into the premises. We call this a circular argument, but it’s valid. A second way is to add a contradiction to the premises. Yes, an argument with contradictory premises is deductively valid. That’s because it’s impossible to have all its premises true and its conclusion false (since its premises can never all be true)*.